One of the objectives of this course is to introduce students to the concepts, analyses, and activities that comprise marketing management, and to provide practice in assessing and solving marketing problems. Topics include marketing strategy, customer behaviour, segmentation, market research, product management, pricing, promotion, sales force management and competitive analysis. On the other hand, this training programme will teach basic selling skills. It introduces participants to tools and techniques for selling, in a way that makes it easy for buyers to buy. It’s designed to build confidence when making the initial contact with the potential client or customer. To underpin our sales training, we help participants to understand the psychology and principles of buying and selling. 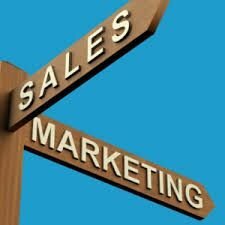 This training course provides an introduction to marketing and selling world. It is for anyone new to this field, or for people with no previous similar training.